If you are part of the those that have been buying subscribers, likes, comments and illegally boosting your follower base on Instagram, about to crack you down. 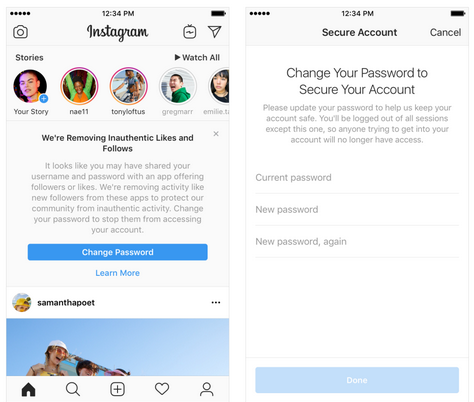 Accounts we identify using these services will receive an in-app message alerting them that we have removed the inauthentic likes, follows and comments given by their account to others. We will also ask them to secure their account by changing their password. This is the time to keep an eye on your instagram acounsts to see if your followers will be wiped out. I still don’t know how much they are making from likes and comments.